A Smart City integrates physical, digital and human systems to deliver a sustainable, prosperous and inclusive future for its citizens. Many of these innovative solutions will be based on sophisticated information and communication technologies. However, technological complexity, as well as the complexity of the various sectorial services involved within a Smart City, require a system approach to standardisation. Such an approach must promote the greatest possible reuse of existing open standards to accelerate Smart City deployment. In an effort to leverage the promise of a system approach, ESPRESSO (Espresso – systEmic standardisation apPRoach to Empower Smart citieS and cOmmunities) will focus on the development of a conceptual Smart City Information Framework based on open standards. This framework will consist of a Smart City platform (the “Smart City enterprise application”) and a number of data provision and processing services to integrate relevant data, workflows, and processes. The project will build this framework by identifying relevant open standards, technologies, and information models that are currently in use or in development in various sectors. Based on a detailed requirements-engineering campaign executed in close cooperation with cities, standardisation organizations, administrative bodies, and private industry, the project will identify open standards matching the elicited requirements and will establish a baseline for interoperability between the various sectorial data sources and the Smart City enterprise application platform. 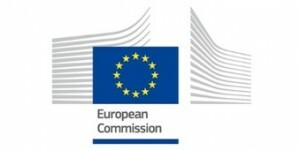 In a comprehensive set of coordination, support and networking activities, the project will engage a very large number of stakeholders, such as Smart Cities (both existing and those with aspirations), European Standardisation Organizations (ESOs), National Standardisation Bodies (NSBs), Standards Development Organizations (SDOs), public administrations, industries, SMEs, and other institutions. ESPRESSO’s approach emphasizes cost reduction and will foster an open market for many actors, avoiding lock-in to proprietary solutions. European Smart City solutions that adopt these prescripts will be raised to the forefront worldwide. A case study-based approach to define key requirements for Smart Cities as the baseline for further standard analysis activities and development of the conceptual Smart City information framework. The development of a conceptual Smart City Information Framework to be built around CityGML as a reference data model and encoding with data services to integrate and process data efficiently in Smart City enterprise applications. A communication ecosystem to allow tight interaction between all participants in Smart City initiatives and activities, serving as a dialogue platform facilitating the exchange of information and experiences. Creation of shared semantics through the establishment of open and shared vocabularies to foster linking data and metadata. Standards analysis activities to identify strengths and weaknesses of existing and currently developed standards. Integration of research projects in the domain of standards and Smart City sectors and overall architectures; includes, most notably, SCC-1 projects. Creation of a “Smart City stakeholder community” involving a large pool of user groups for the definition of requirements (in terms of interoperability potential, openness and reference implementation) and for later assessment of acceptance of the identified standards. Definition of a Smart City interoperability framework based on key reference cases and sectorial systems to be identified by the cities participating in the “stakeholder community”. Accelerate deployment and lower cost of standardisation in the domain of Smart City. To do so, ESPRESSO will map current standards onto the aforementioned interoperability framework, consequently highlighting gaps and overlaps in current standards landscape. 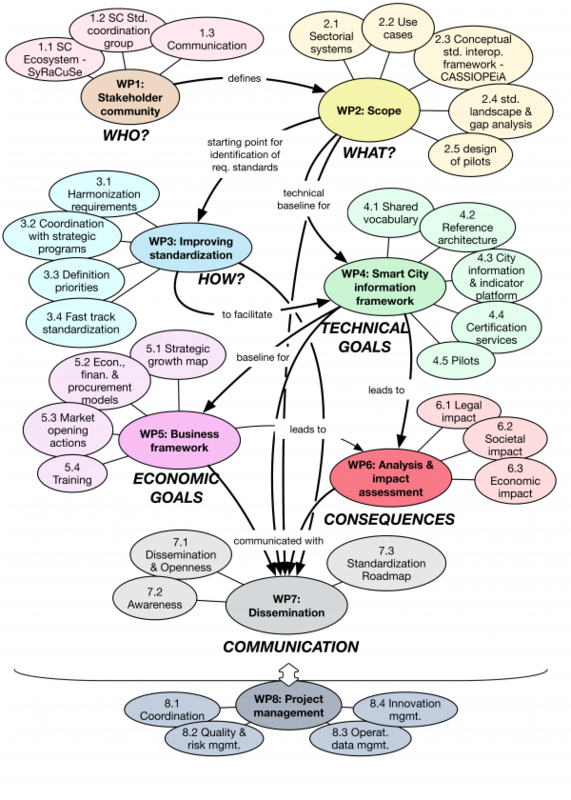 Definition of a Smart City information framework. The framework will define a Smart City reference architecture that ensures vertical interoperability that will be further supported by common semantics based on shared vocabularies. The creation of business framework will develop a strategic growth map and analyse existing and emerging economical, financial and procurement models that can be applied to various sectorial services. Understanding the legal, social, and economic impact of the actions proposed will include dedicated activities for the assessment of legal, social and economic impact of the actions proposed. Dissemination and creation of awareness for project results is the key objective.